Breakfast is the most important meal of the day. When I was young I heard this often from my mom. Today I find I echo my mother in so many ways, and this is just one of them. Early mornings in our home are quite rushed though, and it’s a little tricky with school, work and picky eaters. But we make it work. Most of the time. Pancakes are always popular but they take a little more coordination and that means they’re on the weekend breakfast menu. Since I took wheat out of my diet I am constantly looking for wheat-free recipes that work for my family as well as for myself. Recently I’ve been experimenting more and more with gluten-free and wheat-free baking. More on that later but first pancakes. This recipe was a happy accident that came about as a result of my experimenting with cooking as per Ayurvedic principles and at the same time taking wheat out of the equation. 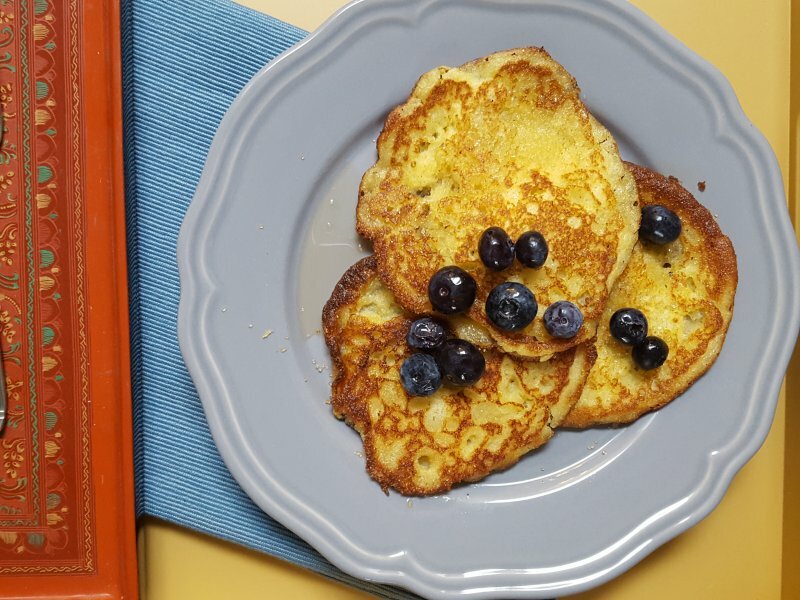 Whisked along with diluted yoghurt, coconut flour and cane sugar, these cornmeal pancakes have a yumminess all their own. 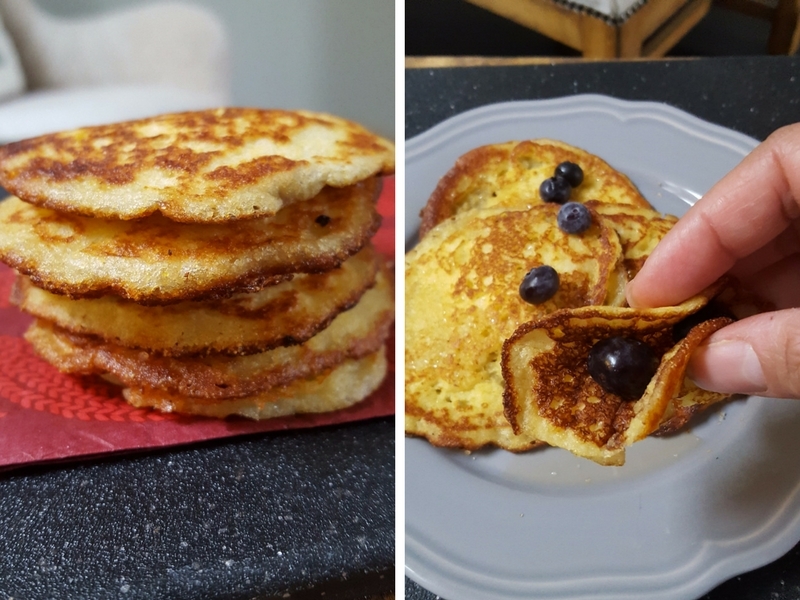 Yes – fine yellow cornmeal can work as a substitute for wheat flour – crunchy, light and delicious! Maple syrup and your favourite fruit as topping. 2. Add in the wet ingredients and whisk together. 3. Leave aside for a few minutes. 4. Heat the pan with a tsp of oil. 5. Spoon the batter by the tablespoon. 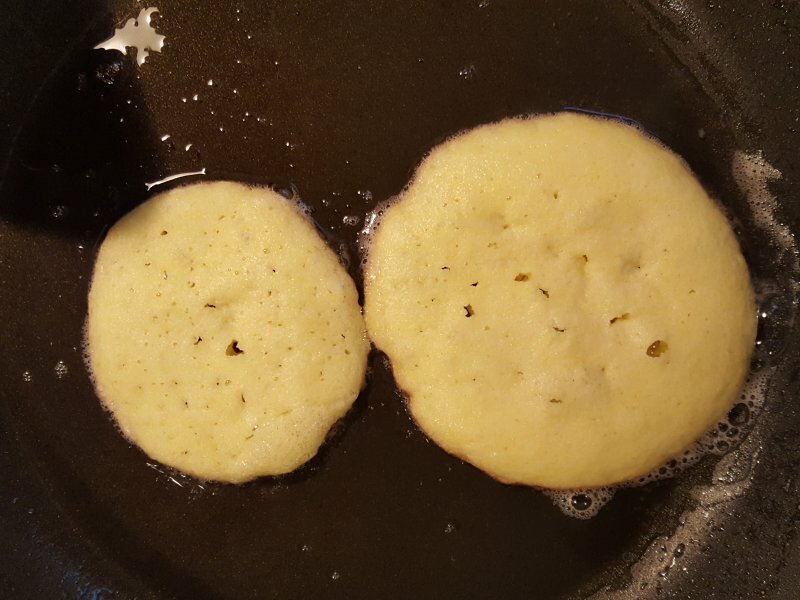 These pancakes come out better when they are smaller in size. I tried the larger size as well and they were more difficult to handle. 6. Cook on one side for a few minutes and then flip over. 7. Serve warm with fruit and syrup. 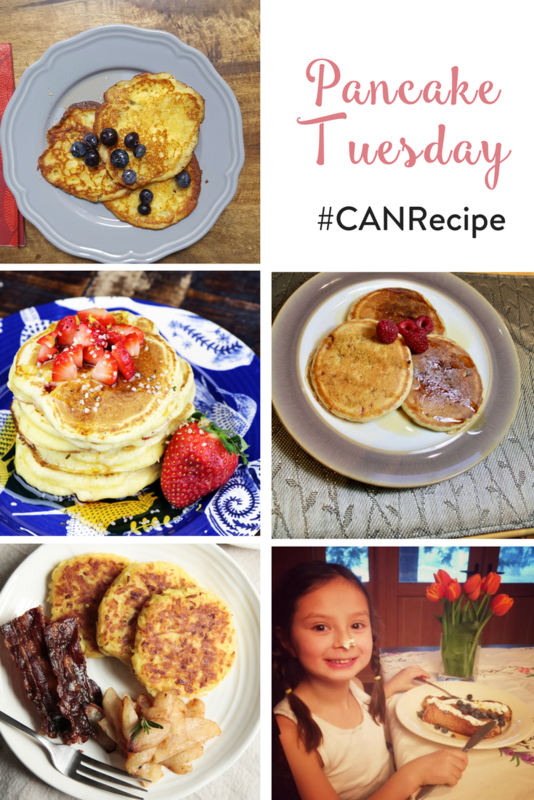 This month I’m glad to be getting together with other Canadian bloggers to share delicious Pancake recipes under the hashtag #CANRecipe. Check these out here or on my Facebook page.